Gift Card Girlfriend is your #1 source for all things Gift Cards. Can I Get Cash Off My Gift Card? Wondering if you can get cash off your gift card? The answer depends on the type of gift card you have. Sell us your non-Visa®gift card for cash. 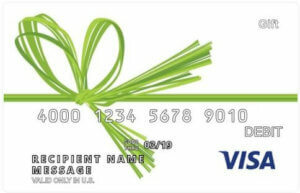 Can I get Cash Back from a Visa Gift Card? If you have a Visa gift card and are wondering if you can get cash from it, the short answer is probably not. To fully answer the question, however, I need to clarify the difference between a Visa gift card and a Visa Reloadable Prepaid Card. Both types of plastic may appear to be the same—both carry the Visa logo and come preloaded with a finite dollar amount to spend. Thanks to a new law that went into effect in 2013, both now also come with a Personal Identification Number (PIN) so they can be swiped as “debit” transactions on Point of Sale (POS) terminals. Though the two cards are similar, only prepaid cards can be used to get cash from an ATM or to get “cash back” from a merchant. Gift cards cannot. Read the terms and conditions on the back of your card to know for sure. Can I get Cash Back from a Store Gift Card? If you want to get money from a store gift card, then Yes! You can get cash off a gift card if it’s a closed-loop gift card (one that is only usable at a particular store) by selling it to a gift card reseller. For example, you can get cash from a Target gift card, a Sephora gift card, a Home Depot gift card and more. Check out our Discount gift card page and you’ll be redirected to Cardpool, one of the top gift card resellers in the industry. If, on the other hand, what you’re really asking is how to save money on a gift card–how to get cash off the face value of a gift card–then check out my list of the hottest deals on discount gift cards around. I update this list often, so you should check back regularly. If you used part of the gift card and want to know if you can get the gift card balance paid in cash, then check out the state gift card laws to see if your state requires merchants to give cash back when the gift card balance drops below a certain amount. 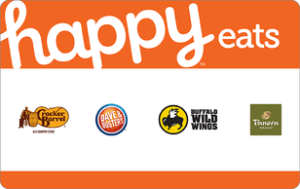 Look for your brand gift card in our Gift Card Balance Check Directory. Can I Get Cash from a Visa Gift Card if I Have a PIN? It used to be that gift cards had to be run as “credit” transactions at the point of sale because they didn’t come with the PINs needed for “debit” transactions. Prepaid cards typically have PINs so they can be run as either. In 2013, the Federal Reserve passed a law requiring that people have the option to get a PIN for a general purpose gift card, so they have to decide which type of transaction to perform. This law, however, led people to believe they could use the PIN to withdraw cash from their Visa gift cards at an ATM or via cash back at a merchant POS. That’s not the case. The PIN simply allows gift cards to be run as debit transactions. Can I Buy Something and Return it to Get Cash Back? Many people ask if they can just buy something using a gift card and then return it to get cash back. This round-about solution depends on the sophistication of the merchant point-of-sale system. Many stores have their transactions on lock-down where money given back to the consumer for merchandise returned is automatically credited back to the card used to pay for the item. You’ll also get a merchandise credit (or another gift card) if you return an item without a receipt. Though I understand some people have successfully returned products (saying they didn’t have a receipt) to get cash back, I can’t guarantee you’ll have a similar experience. Stores are increasingly looking to prevent this type of transaction so I would say getting cash off your gift card in this manner won’t be a solution for long. 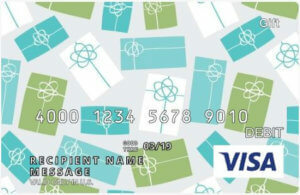 Why Can’t I get Cash Off a Visa Gift Card? Gift cards are marketed as gifts, whereas prepaid cards are typically marketed as an alternative to a traditional checking account. This distinction is important because the latter type of card can be reloaded with additional funds, be used to get cash from an ATM or allow the holder to get “cash back” from retailers who support this. To activate prepaid cards, you typically need to provide personal information such as your name, address, date of birth and social security or driver’s license number. Merchants are also required to report suspicious purchases and track individuals buying large amounts of prepaid cards for five years. 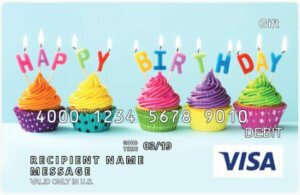 Gift cards, on the other hand, can be purchased and activated anonymously. As a result, anti-money laundering laws prevent gift cards from being used to get cash or from having a value over $1,000. Below are a couple of scenarios to help you understand the reasoning behind this. 1. Clean Cash. A thief uses stolen money or money from drug sales to buy a prepaid card, then goes to an ATM to withdraw cash from the card. The money is now clean, but because the card has to be registered and merchants are required to track purchasers of prepaid cards, the bank has a potential way to identify the person laundering money. Since gift cards don’t need to be registered, cashing out is not allowed. 2. Game the System. A customer uses their credit card to buy prepaid cards at the grocery store in order to rack up gasoline perks from the store or airline miles from the credit card company (or both). Then, the buyer takes the prepaid card to an ATM to withdraw cash. The cash is then used to pay off the balance of the credit card. With merchants tracking prepaid purchasers, abusers of the system can be found. Also, merchants are increasingly closing this loophole by requiring that prepaid cards be purchased with debit cards instead of credit. Since gift cards can’t be used to obtain cash, the loophole doesn’t work. As wonderful as prepaid cards are for people who simply want (or need) an alternative to a checking account, unscrupulous practices by some result in regulations for everyone. 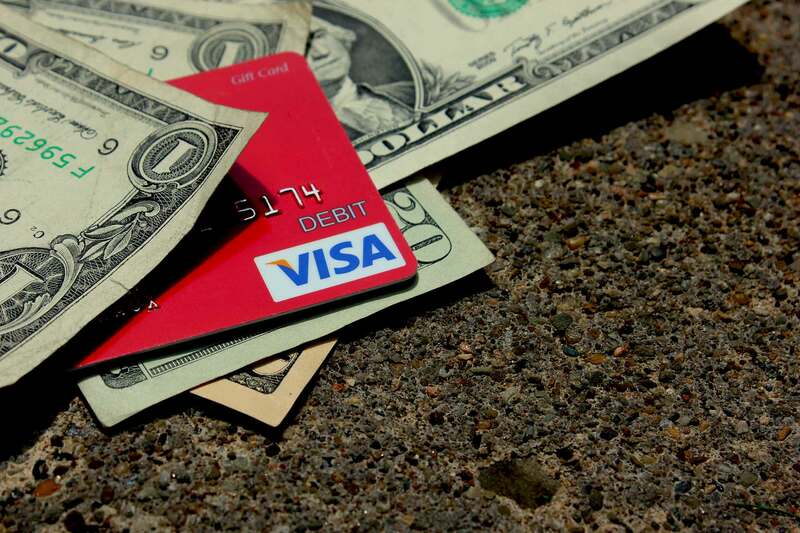 Can I get cash off my Visa gift card? The answer is no, and even if there is a card issuer currently allowing it (I’ve seen reports online that suggest some issuers are out of compliance), the loophole will likely close soon or the gift card may actually be a prepaid card instead. If you’re not sure, read the terms and conditions on the back of the card so you know for sure. If you have other gift card questions or need gift card help, add a note in the comments below or leave a message for @GCGirlfriend on Twitter. Can you Buy a Gift Card with a Gift Card? College Students: Is Cash or Gift Card the Better Gift? Sometimes CASH is the better gift, but not always. These college students share some things to consider when deciding to give cash or a gift card for a birthday or celebration. Read More » about College Students: Is Cash or Gift Card the Better Gift? What Can I Do with Merchandise Return Credit from My Wedding? After holding on to hundreds of dollars in gift cards and store credit from our wedding registry, my wife and I made a plan to "Tidy Up!" our gift cards. This is our story. Read More » about What Can I Do with Merchandise Return Credit from My Wedding? How Can I Get My Lost Gift Card Back? Lost gift card? Getting a missing gift card back may be is possible if you take these steps. Read More » about How Can I Get My Lost Gift Card Back?